High quality knife for a low price. 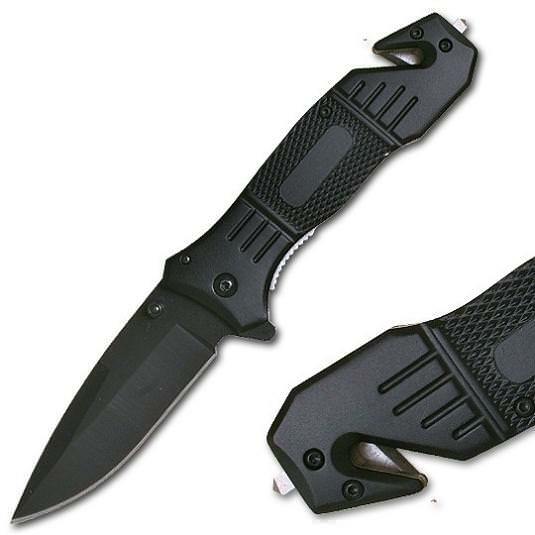 4.5" Closed All Black Rescue Spring Assist Opening Knife. Features a seat belt cord cutter and window breaker.